The England international has been one of United's most improved players under the guidance of Ole Gunnar Solskjaer and he has provided six goals and an assist since the turn of the year. Despite this, there have been no talks with regards to a new contract but according to The Sun, the club are ready to trigger a clause to extend his deal until the summer of 2021. 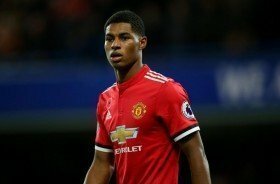 It is added that the Mancunian giants remain confident of settling on a long-term agreement with Rashford in the future with the forward eager to build his reputation with the club. Rashford has made over 150 appearances for the club across all competitions since making his debut in February 2016. He has started seven of the previous eight games for the club in all competitions.